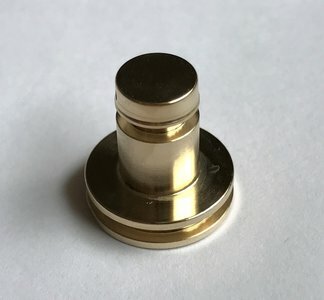 A replacement bronze piston for your Huma regulator. Please select the correct size of the piston in the option field. - Standard piston 8x15 mm. - Mini piston 6x12 mm for: FX Boss, FX Royale, FX Bobcat MKII, Artemis PP700, P-rod regulator 2017. 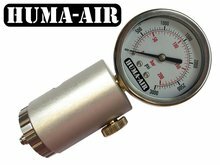 When you order this item in combination with a regulator there are no sending costs involved. If your total order only consists of this one item, we use standard untracked shipping to reduce costs. Multiple items will always be sent with track and trace. Thank you very much for taking the effort to review our product. Fast shipping, top quality from Huma as expected. Fast shipping, top quality from Huma as expected. 5 Replacement regulator piston. registered trademarks of Huma Holding bv.